At State Line Animal Hospital, weâ€™re animal lovers and companions ourselves. We take your animalâ€™s health as seriously as you do and will do our best to see that it is maintained in the best environment possible. Our talented staff is comprised of some of the nationâ€™s finest veterinary specialists from a wide range of backgrounds and specialties. 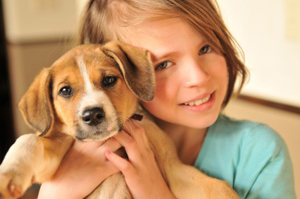 All State Line Animal Hospital veterinarians and staff have one thing in common, a sincere love of animals and an earnest desire to see them nurtured and cared for in the best of health. We offer a wide range of veterinary medicine and treat a variety of animals including, dogs, cats, birds, guinea pigs, ferrets and rabbits. State Line Animal Hospitalâ€™s state-of-the-art veterinary clinic is fully equipped and prepared to accommodate your animal regardless of size. Our licensed team of D.V.Ms and other professionals can also make house calls in some cases where it is difficult or counterproductive to move the animal. State Line Animal Hospital offers full vaccinations and regularly scheduled checkups for your pets. We believe in a preventative approach for your animalâ€™s health, to insure that they remain healthy. Give your pet the gift of great health, call State Line Animal Hospital and schedule an appointment today.